12th Night by William Shakespeare is the next show being produced in TRU’s Actor’s Workshop Theatre. The show will be directed by TRU faculty member, Heidi Verwey, and takes place in the wondrous world of Illyria. The show follows two twins, Sebastian (Zack Fernstrom) and Viola (Brittney Martens), that get separated after a nasty shipwreck. 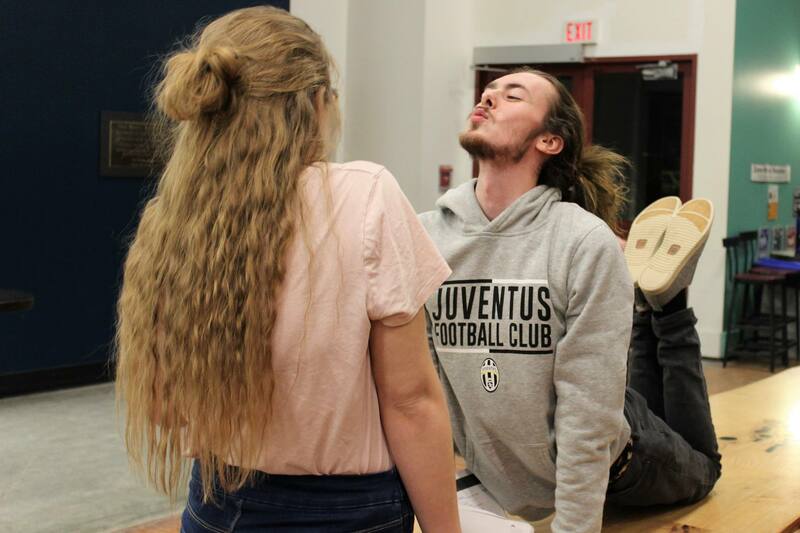 The duo go through a series of love triangles with Olivia (Marta Oraniewicz) and Duke Orsino (Jakob Kopytko) and a few misgivings with Malvolio (Jeffrey Daniels) until they find each other once again. 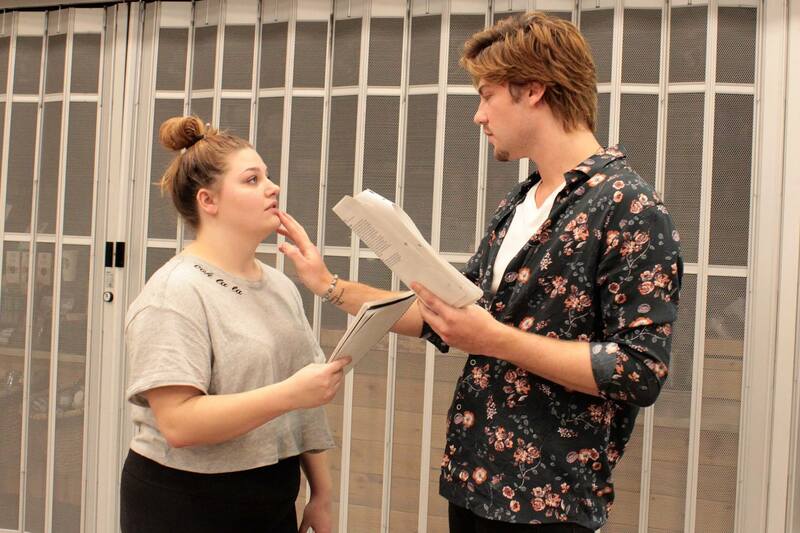 Although the show is a Shakespeare classic, Verwey puts a spin on the famous play by taking it outside of the theatre walls and into Student Street of Old Main. The cast and crew of 31 have been working diligently since early January on this highly complex show. The show has been heavily described by Verwey and the cast/crew as “immersive and interactive”, and fourth year Bachelor of Arts student, Zack Fernstrom, says the the audience must “be prepared to move their butts”. This is because the show will be moving from the theatre to outside in front of Starbucks and up and around Student Street, eventually ending back in the theatre. Along with moving from space to space, the audience will be immersed by being apart of the show themselves. The actors will be chatting with everyone coming to see the production and the audience will be free to move around and interact with the actors as they watch the show. Although all the actors will be speaking Shakespearean english, the entire show is based in modern times, and will be implementing many current aspects of our era, such as taking selfies and thumb wrestling. The behind-the-scenes aspect of this show will also be designed a bit differently than usual. Most of the designers are students at TRU, many of them in their fourth year and all the students are actors in the production. Brittney Martens is the show’s artistic designer, while Selena Tobin is its lighting designer. Berlin Msiska is the sound/music designer for the production, with Anna Dokshina as the costume designer and Mariana Makulkina as the show’s makeup designer. Since this show will be moving around a lot, there will be less tickets available for the public in comparison to a regular TRU production. Each show will capped at 40 people because of the lack of space. Danielle Foisy, a second year bachelor of arts student, says it’s what makes each show intimate. 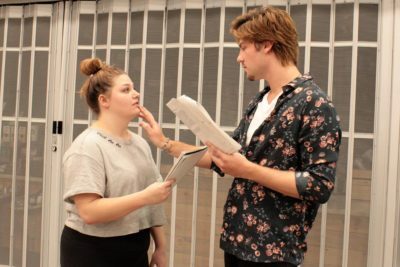 This production is also taking a leap in another direction, says Kelsey Launier, another fourth year Bachelor of Arts student. “It brings you closer to Shakespeare than you’ve ever been before,” she said. The show will be taking place over the first two weekends in March, with shows playing on March 1, 2, 3, 8, 9 and 10. Shows start at 7:30 p.m., but the immersiveness will begin at 7:15 p.m. Tickets are $15 each, and the production will begin in TRU’s Actors Workshop Theatre.